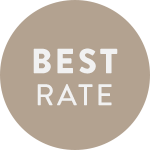 BEST RATE available only for direct bookers! 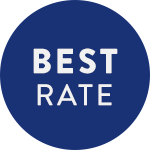 Depending on the number of nights spent you will receive a discount between 4 & 11% on check out. Are you looking for a hassle-free, friendly place to stay on Lake Maggiore? Smart-HOTEL MINUSIO offers everything you’d expect of a 3-star hotel. Our philosophy is to keep things uncomplicated, cool, easy and appealing. You can look forward to a relaxed atmosphere, pleasant rooms and a gorgeous view. And we look forward to welcoming you! ... at very attractive prices. Opening offer till 30th of May "4 for 3"
We have decorated our 24 rooms with a view to you feeling at home in every way. You can choose between a room with a south-facing balcony and lake view or with a sitting area in the garden. All rooms are of course equipped with cable TV, a hair dryer, safe and free WiFi. Our hotel is in Minusio, the so-called sun terrace of Lake Maggiore. It is ten minutes on foot to the lakeside promenade. Locarno and Ascona can be easily reached by bus or car. Lovers of nature, culture and sport will all be more than satisfied with what’s on offer.